A vision of the nocturnal nightmare. 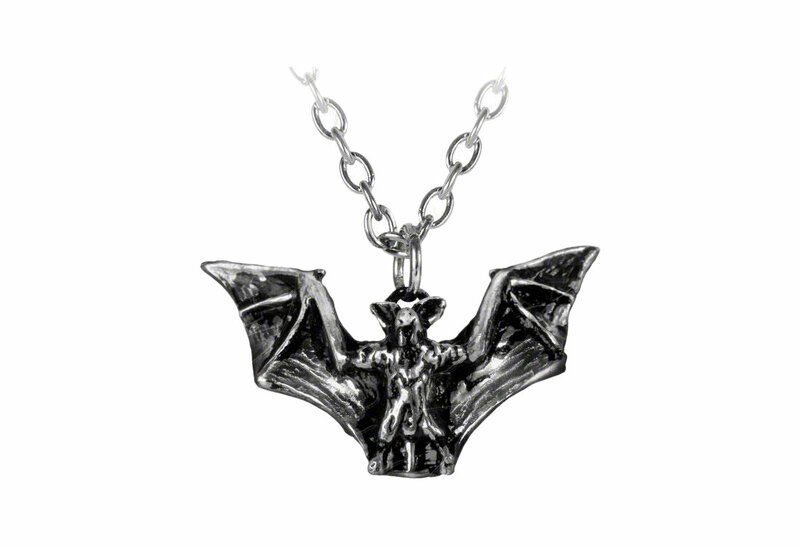 A Gothic classic with timeless appeal. 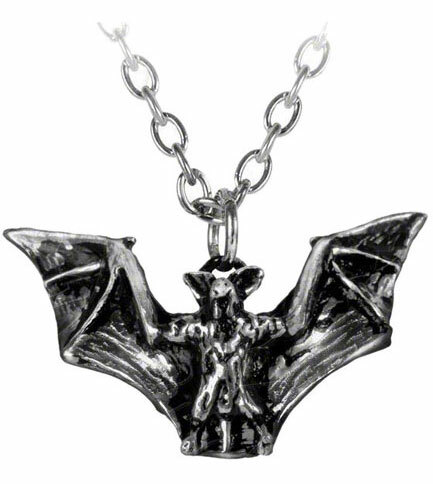 The only mammal to own such gracefully webbed digits, enabling him true flight, is depicted in this pendant. Made of fine English pewter.